Pamela Sue (Otis) (Godderis) Dangerfield of Vancouver, beloved wife of Jim Dangerfield, passed away comfortably on Saturday January 26, 2019 after a brief battle with cancer at the age of 71 years. Pam was born in Taylor, Texas and came to Canada in 1957. She moved with her family to Calgary, Alberta where she attended high school and completed her Bachelor of Education at the University of Calgary. 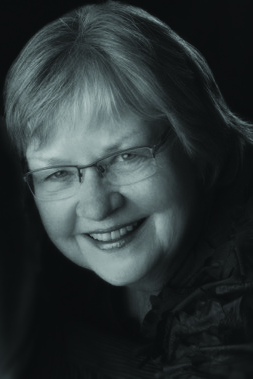 Pam was passionate about art, and she shared her enthusiasm for the creative process as an art teacher in the Calgary public school system and later in her life through a network of embroidery organizations and art institutions in North America. The artwork Pam created was shown around the world, and won multiple national and international awards. Besides her loving husband Jim, Pam will be adoringly remembered by her daughters Amy (Andrew) and Rebecca (Rob) Godderis, her step-children Coral, Neil (Reet), Donna (Garth), Marnie (Bill) Dangerfield, her cherished grandsons Gavin, Kyle, Callum, Graeme, her sister Donna (Bud) Hamilton and her brother Jack (Janice) Otis. Pam was predeceased by her parents Don and Jackie Otis. Memorial Services will be held in VANCOUVER on Saturday, February 2, 2019 at 1:00 pm at St. Philip’s Anglican Church, 3737 West 27th Avenue, and in CALGARY on Tuesday, February 5, 2019 at 2:00 pm at St. Giles Presbyterian Church, 1102 23 Avenue NW. Flowers are gratefully declined. For those who wish, donations can be made to the BC Cancer Foundation (https://bccancerfoundation.com/ways-donate) or St. Paul’s Hospital Foundation (https://helpstpauls.com/donate).